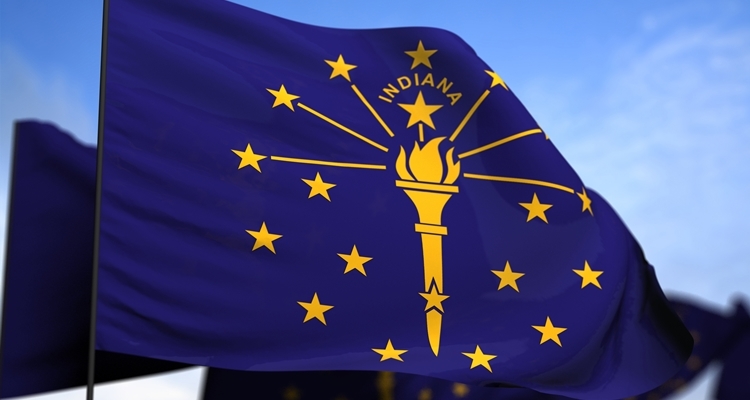 Indiana contractor licensing is not regulated at the state level. Instead, contractors are required to register or obtain a license through the various municipal governments throughout the state. This means that getting your general contractors license in cities within Lake County will come with different fees, procedures, and requirements than that of Allen County — as licensure will be authorized by different agencies. However, there are requirements by state law for registering the name of a general contracting business as an LLC, limited partnership, or corporation before obtaining an Indiana contractor license. Applicants for an Indiana business license will want to make sure they are squared away with the Indiana Secretary of State as their initial step in becoming a general contractor. Of course, this isn’t the only step in becoming a licensed contractor in Indiana. Depending on where you live, you will need to navigate your local jurisdiction’s requirements to apply successfully and gain licensure to perform contractor work in Indiana. Fort Wayne is the county seat and largest city in Allen County. All general contractors wishing to do new construction, additions to existing structures, any remodeling, repair, or improvement work, or demolition of existing structures in Allen County must be licensed by the Allen County Building Department. In addition to obtaining a license by the Building Department, when applying for a building permit, general contractors must register as the official superintendent of the project for which the permit is being applied. The application fee for a general contractor license is $90, for both new applicants as well as renewals, and expires on December 31 of the current year, regardless of when license was issued. All Indiana contractor license applicants in Allen County must also pass a written examination before the license can be issued. Chapter 2 of the Allen County Building Department Rules and Regulations provides the intricate details of the exam requirements. The current fee schedule is included at the end of the document, which should be consulted to ensure accuracy of fees. A general contractor will have to distinguish between two general contractor categories; commercial general contractor or residential general contractor. Download the official application form and complete it in print. Be sure to check either “General Contractor — Residential Building” or “General Contractor — Commercial Building” as the license type. Download the criminal record history form and complete it in print. This form must be signed and notarized. Three (3) letters of reference indicating a minimum of four (4) years of field experience in the construction trades. A surety bond certificate in the amount of $15,000.00 in the name of the applicant. For more details about the City of Evansville/County of Vanderburgh bond requirements visit their Insurance and Bond Information page. After all application materials are ready to submit, the applicant should call the building commission at (812) 436-7880 to pay the application fees and obtain information on how to submit the required materials. After the application is approved, the applicant will receive an official notice to schedule the licensing exam. This is done only after receiving approval, and the applicant will contact Ivy Tech at (812) 429-1418 to schedule and pay the required fee for the exam. In the consolidated City of Indianapolis, which also includes areas of Marion County (excluding Lawrence, Beech Grove, Speedway and Southport), general contractors are licensed and will have to meet the requirements set forth by the Department of Business and Neighborhood Services (formerly the Department of Code Enforcement.) The application fee is $247 for two years and applies to both new applications and renewals. In addition to state-level business name registration requirements, general contractors conducting business as a DBA (“doing business as”) in the Indianapolis licensing jurisdiction must first register their DBA name with the city. This includes sole proprietors and partnerships. New applicants should complete the New Contractors License Application. Renewal applicants should download and complete the Renewal Contractors Application. Both can be achieved by typing directly on the form after opening it in Adobe Reader. By state law, even the owner of a corporation is considered an employee; therefore, even the owner must be covered by workers’ compensation insurance. For your business to operate in Indiana, you will need to register with the Indiana Secretary of State. This will include disclosing your business structure, establishing tax accounts, new hire reports, and obtaining unemployment and workers’ compensation insurance. Businesses that operate within Indiana are required to register for one or more tax-specific identification numbers, licenses or permits, including income tax withholding, sales and use tax (seller’s permit), and unemployment insurance tax. Contact the Indiana Department of Revenue for more information about business registration and your tax obligations. Businesses with employees are required to pay unemployment insurance taxes under certain conditions. If your business is required to pay these taxes, you must register your business with the Indiana Department of Workforce Development. Businesses with employees are required to carry Workers’ Compensation Insurance coverage through a commercial carrier, on a self-insured basis, or through the Worker’s Compensation Board of Indiana. To look up and verify a professional and/or business license by license type, license number, profession, license status, or name visit the State of Indiana My License e-government database.